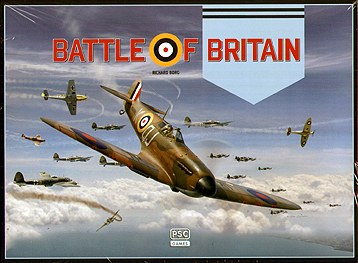 Battle of Britain simulates the epic air battles of 1940 (July-October) between planes of Hermann Goering's Luftwaffe and Great Britain. Players will either command the German Luftwaffe or the British RAF. As the Luftwaffe commander, a player must carefully plan, organize, and coordinate flights and send the German Luftwaffe on dangerous missions over Great Britain. As the British commander, a player must decide where and when to hazard his meagre fighter forces to stop the seemingly limitless German bombers and save Britain from the possibility of invasion.